TETSUUUUUOOOOO!!!!!! Akira lives!! 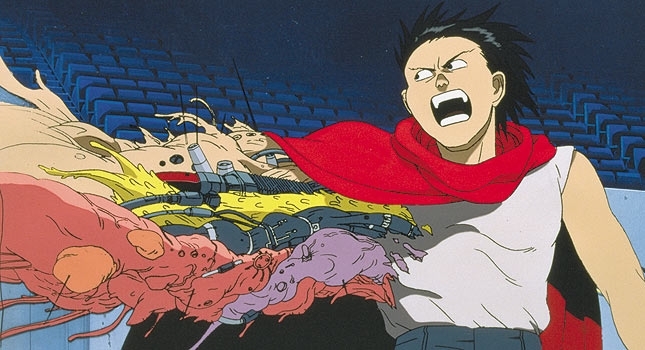 The forever-developing live-action Akira movie may finally be on the verge of happening. Then again we've been down this road before stretching back nearly a decade, which tempers any excitement over the step forward Warner Bros. and Leonardo DiCaprio's Appian Way have just taken. While not the sexiest story in the world, Deadline's reporting of tax credits so Warner Bros. can shoot Akira in California is a significant step for the movie, an adaptation of the classic manga and anime by Katsuhiro Otomo. The original story is set in futuristic neo-Tokyo where two best friends and members of a biker gang become involved in a government experiment that unleashes one's latent psychokinetic powers. Warner Bros. had aimed to Americanize the story in a big way, which is why DiCaprio, Garrett Hedlund, and Kristen Stewart were among those previously attached to star. DiCaprio is still on board as a producer, and Thor: Ragnarok's Taika Waititi came aboard as director back in 2017 and expressed interest in maintaining the characters' Japanese ethnicity. Let's hope that sticks.